On the Spain blog this week, instead of writing (it´s too hot…that´s my excuse anyway) it´s your turn to write! I am collecting testimonials about Piccavey.com. So I am keen to hear your comments and experiences. I´d love to know over the past years since I´ve been running this blog what impact it has had for my readers. Did I recommend a lovely hotel for you? Maybe I suggested the perfect meal for your Spain holiday? Perhaps I introduced you to someone locally through my professional network? Or maybe I gave your business a rave review? Perhaps you attended one of my Social Media Workshops or conferences? We might have even collaborated on a blog trip or guest post. Or you enjoyed my Food Tour when you visited Granada? To make this quick and easy for you, I’ve included some questions to prompt your comments. As you can see, I am interested in what your experiences were and what the benefits were to you. As a follower or blog reader or perhaps while collaborating with me. Just type the answers below the questions or, if you prefer, write your own testimonial by running a few of the questions together. What information were you looking for when you found the Spain blog Piccavey.com? How did reading the information benefit you? Do you enjoy piccavey´s Twitter, Instagram, facebook, Pinterest accounts? Why should others consider this blog the future? How does Piccavey.com help your business or project? What posts would you like to see in the future on this website? You may have even been inspired to begin you own blog or a new life abroad. Molly was wonderful in helping me arrange my group tour week-end in January 2014 after the opening of the 2nd Jewish museum of the OLIVEDOS. Joe, I´m completely blushing… Gracias! Your blog helps me learn what is happening and new all over Spain. This summer your blog really helped me learn what new things there are to see in Granada. A city I have visited dozens of times and can’t get enough. But your blog help ed our visit feel like we were seeing a new side to the city at the same time learning more of its history too. We went to Plaza San Cristobal for the first time and saw great views and saw the impressive wall that goes up Cuesta Alhacaba. We really liked seeing Plaza Larga and Puerta Nueva. Funny because they are so close and ancient but we had never seen them before: Even though we had been 5 minutes away in Plaza San Nicolas almost every time we had visited in the past. Also thank for letting us know about the Sephardic Museum that opened up this year. We enjoyed our visit to this museum and learnt so much. ¡Gracias Molly! Thanks Ben, some of your photos of Andalusia are amazing! Piccavey’s blog was an excellent resource for our first trip to Spain this past May. 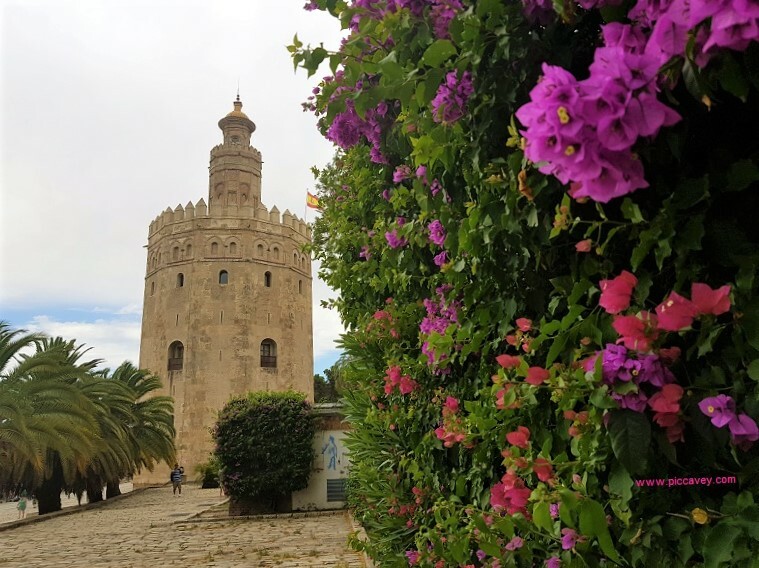 As a local, Molly provided an insider’s view of the cities that we visited: Barcelona, Granada, Cordoba, Sevilla and Madrid. Her site gave us oodles of information on restaurants and tapas bars, shopping, cultural and touristy sites. Separately, Molly gave us several recommendations for Flamenco and dinner in Granada, which turned out to be one of the highlights of our trip. All the information we got from Molly made our Spain trip much more memorable and enjoyable. We have enjoyed Piccavey’s blogs, tweets, and facebook comments. We love Spain and continue to build our knowledge of the country through Piccavey’s sites. Keep up the great work Molly. Molly, the El Borne Cultural Centre is a must see. I’d be interested what you think of it. Have a great trip to BCN. We contacted with Molly to offer some samples of our Iberian products (spanish ham and chorizo). She gladly accepted and reviewed on them. It was a real pleasure to work with this great passionate blogger of Spanish products. Thanks and happy holidays! 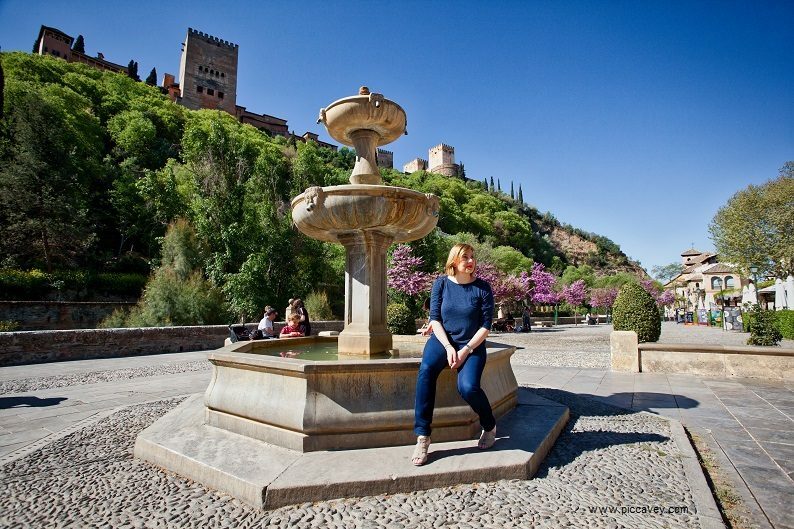 Apart from the depth of knowledge about the city she loves, for me it was Molly’s passion for the place which shines from this blog – and made us want to include Granada on our Andalucian tour last year. There are lots of travel blogs around but few take the time to dig deep and research their subject matter as carefully and enthusiastically as this one, and that’s what gives Piccavey.com the edge for me. We didn’t spend long enough in your beautiful city so I am looking forward to returning in the autumn, and I shall be using your reviews and recommendations to plan the perfect stay! We came across Molly’s blog while looking for information on the coastal area of the Granada province. We were property searching and trying to make decisions on where to buy an apartment. Molly gave us some useful tips on what we should look for and what to avoid . I continue to enjoy reading the blog to find out more about life in Spain. We bought an apartment in February but can only visit a few times a year at the moment, so I am storing up all the information in Molly’s articles for the weeks we can spend in Spain! I’m looking forward to using some of Molly’s expert advice on Spanish shoes when I hit the shops!! Even though we can’t be in Spain very often, Molly’s blog helps us to stay informed. It’s interesting to read about local traditions, food and events so that we can get to know more about the area where we’ve chosen to have our second home. The blog will really help us to make the most of our time there. Thanks Molly! I love piccavey’s social media posts! Although I mainly follow piccavey through Twitter – where I first found it about a year ago – I’m familiar with all of the other sites. As a longtime lover of Spain, and a native English speaker, I was really excited to discover this blog thanks to Twitter. It’s an excellent, insider’s look (and a close-up look, too – nothing superficial nor stereotypical) at Granada and the surrounding area. I found information here that you won’t find in tourism brochures. It’s clear that the author is truly bi-lingual and bi-cultural, living the expat dream which so many of us have, and so it is great to sort of live vicariously through these posts while also getting reallly sharp information on things in Granada. I specifically recall, in advance of one of my recent trips there, searching for information on carmenes and on teterías (tea houses) and the best information was right there in piccavey’s blog. Reading this information and other posts and tweets benefitted me quite a bit, as did the posts on destinations beyond just the Granada province (for example, the list of recommended things to do in Malaga capital – a great city, and yet one which one doesn’t ever read much about. Piccavey’s list of things to do there, and why one should visit there in the first place, was great). As far as future posts, my recommendation would just be to keep on with these same sorts of topics! Thanks very much! Wow. Thanks, it certainly encourages me to keep writing. Molly has written some excellent articles for our website with insider information on Almeria, Granada and the surrounding region. Her blog is a great resource for information on where to go and what to do in and around Granada. Firstly I love the blog because the header image always cheers me up. Molly works very professionally and treats every subject she covers with care and enthusiasm. As a writer on Spain,Molly has been very supportive of my book, As I Walked Out Through Spain in Search of Laurie Lee,right from the start and has a great knowledge of the wide range of literature about Spain and Granada. I know that the next time I visit Granada for research or just for pleasure, hopefully next year, my first stop will be Molly’s blog. Thanks Paul and good luck with the book ‘As I Walked out through Spain in Search of Laurie Lee’, I’m sure it will do well, Laurie Lee, Spain and literature fans will love it. Molly es una gran profesional, personalmente estoy encantada con ella. He tenido y tengo (prácticamente a diario!) interacción con ella para multitud de cosas: asesoramiento sobre redes sociales, asesoramiento sobre traducciones español-inglés, correcciones de idioma y por supuesto tours planificados de forma totalmente personalizada para visitar Granada. El valor añadido que aporta Molly es su gran empatía a la hora de dar consejos: las recomendaciones que me ha hecho (y me hace!) son siempre lo que yo espero, Molly tiene la capacidad de meterse en mi cabeza 🙂 Su ayuda resulta siempre una fuente de conocimiento! Recomiendo encarecidamente su página, que de una forma muy fresca te introduce en el mundo del turismo de Granada, y por supuesto recomiendo a Molly como profesional: nunca decepciona. Hi Molly, Thanks for your effort in promoting communication amongst neighbours. Urbytus is growing day by day and we are nearly 1000 communities using the system. Thanks Sam and Mucha suerte! So many places to visit and things to see, I’ve a huge list now Molly. I will get there soon. Hopefully this year! Great, Autumn (late sept/October) is a nice time to visit as it’s not too hot or cold. I found Molly’s blog and contacted her completely unannounced to ask about where to go and what to do in Granada around Christmas and new year and she couldn’t have been more helpful. Her replies were thoughtful, thorough and accurate which really helped because we didn’t know what to expect to be happening in Granada at that time of year. Thanks! Christmastime & New Year is quite special in Granada, particularly as it lasts right up until 7th January. Glad you had a good trip. Molly, I know you write about other parts of Spain, but your descriptions and information about what’s old and new in Granada are so interesting for someone like me who spends some time in a pueblo near Granada and some time in a pueblo in Surrey, UK. I enjoy reading your blogs about my home from home when I am in the UK; they fill me full of longing to be here, as I am now. You speak with authority because you have made a strong effort to learn the language and embrace the culture, and you clearly love this area and, indeed, Spain and all it holds. Please keep writing! I’ll keep writing away on the blog, I have plenty of ideas for new posts for the future.. I discovered Molly’s blog when I was studying Spanish and wanted to know more about Spain. I love all her blogs about Granada a place I have never been to but by reading Molly’s blogs I feel like I know the place very well and cant wait to go there and see for myself. I have a Spanish guest staying with me at the moment he is from Granada and has been impressed and proud of his city that I know so much about it …and that’s thanks to Molly’s blogs. I particularly enjoy reading about the history and culture,especially the Gitanes their music ,dance etc. As I had a connection with someone who has worked with and is very good friends with the community I wondered if you ever made contact and were introduced to the community . Ooooh, when you make it to Granada do let me know! En nombre de todo el equipo de trabajo de Saffron te felicitamos por este magnífico blog y los contenidos tan interesantes que compartes en él. Felicitaciones y nos ponemos a tu disposición para que podamos también compartir juntos experiencias gastronómicas. With your sauces it’s solved. Wow! Nice site, love all the foodie talk there. Thanks for your comment It’s much appreciated, If I am ever out Jaén way I’ll get in touch…. I first found Molly’s site while searching for places to visit in Spain where I could improve my Spanish while enjoying a cool city at the same time. Long story shot, the blog sold me on Granada and also introduced me to Escuela DeLengua, where I spent three weeks studying – loving every minute. Not only that but I found the FAQ posts to be particularly useful and Molly to be incredibly helpful in offering additional advice be it through social media or via email. Granada is lucky to have Molly banging the drum for it, and I’m glad I heard it or I might have missed out on a fantastic city I can’t wait to get back to. Pls shout when you are back in Granada. Molly is not only a good writer she has also given me a leg up in terms of work too, which cannot be said of everyone within the industry. Enhorabuena por el blog! Me parece un recurso ideal para dar a conocer nuestra ciudad y la provincia. He de decir, como granadino, que los contenidos del blog se basan en experiencias que los vecinos de Granada tenemos en nuestro día a día en la ciudad y alrededores. De todos formas, en mi opinión, el blog no pierde por ello frescura ni originalidad en el modo en que los contenidos se presentan. Me encanta! Por último, si he de ser sincero, conocí el blog ‘piccavey’ buscando contenidos para el marketing online del hotel donde trabajo. La información es ideal para que los visitantes que vienen a la provincia de Granada y para promocionar Granada. De nuevo, enhorabuena!! I came across Molly’s site via Twitter in late 2013 while doing research before moving to Granada in January 2014. Not only was the online information very helpful, but Molly was also kind enough to take the time to meet up for a drink to give some pointers to the newbie expats in the city. I follow @piccavey and regularly find useful tips on things to do and see in both Granada and Andalucia, as well as meeting various other people and organisations through the tweets and posts. 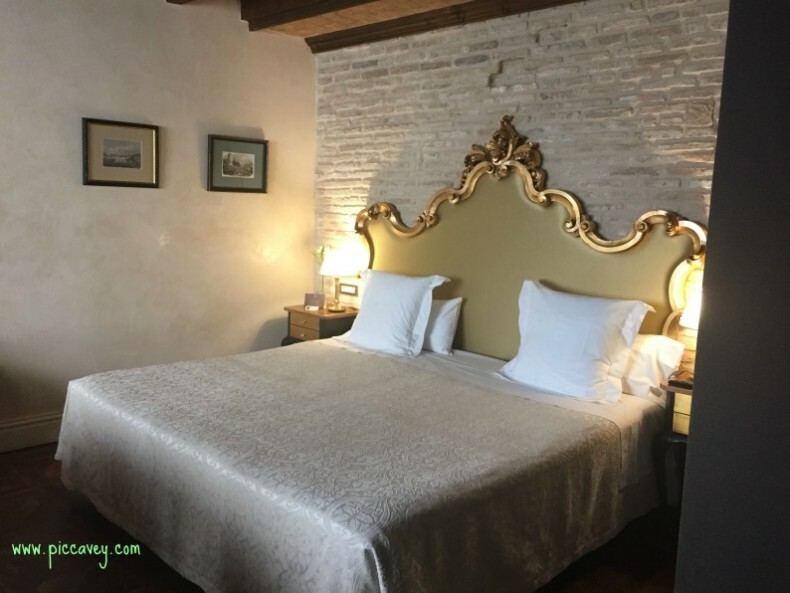 If you’re considering moving to Granada and/or Andalucia or are even interested in finding out more about these fabulous places, I would highly recommend Molly’s blog. When you think of Granada, think of Molly! Thankyou Jason for your kind words! I came across Piccavey.com when performing a Google search. I initially contacted Molly to ask her opinion on whether I should visit Andalucia or Madrid for the summer. Molly returned my email right away and listed several reasons for me to consider making Granada my final stop. Not only did she respond to all my questions, but she also made recommendations on a language immersion program (Delengua) for me to attend during my visit. I had the wonderful pleasure of meeting Molly and benefitted from her expertise during my stay! She truly is an expert on Andalucia and really enhanced my trip. She has a true understanding of the culture in the south of Spain and provided cultural tips and knowledge that I could not have gotten anywhere else. She recommended Sephardic Museum for a Flamenco Show, a play called Boda de Sangre, and many other cultural events. Countless times Molly recommended the best restaurants in Granada for me to try! I turned to her website throughout my stay for information about the city (from learning the new LAC bus system to the best tapas bars in town). As you can see from her blog, Molly has a true talent and takes her time developing thoughtful/insightful posts. Not only is she an expert on the area, but she is kindhearted and pleasant. Molly was a key piece in making my vacation a trip of a lifetime! I´m really glad to have helped you to plan your stay in Granada. Thanks for your kind comments, I appreciate it Ayanna. When we we preparing to move from Sydney, Australia to Granada with our two children, Molly’s blog was one of the few places where I could consistently find up to date and interesting information about the city and what is like to live there. I used her blog as a resource for upcoming events and festivities during our year in Granada. I had the pleasure of meeting Molly at various Internations events that she organised and she had just as many insights in person as on her blog. Thank you! Hope you are settling in back home after your Andalusia Adventure! I am really grateful to you Molly for sending me a high definition photo of a ceramic with a pomegranate design on, which I may use as an illustration in a book about the court of Queen Isabel. Just to say a big thank you Molly. We are based in the UK and have found it incredibly difficult to find a Spanish speaking estate agent in Granada. Thanks to Molly I have been able to get one. Thank you for your prompt reply. I came across you site by chance and it has some excellent info for the traveller. Molly – I’ve enjoyed following you here, on FB, and Twitter as well as the occasional email correspondence. You’ve always been very helpful and your travels, writing, and photography have been an inspiration to my wife and I! Hello Molly, as you know, I write about Spain and I often link to material of yours in a weekly news-letter I write. That’s because (1) I love Granada and Córdoba – your stamping grounds (I live in Almería) and (2) you write so well about our life here. Hi Molly. I have been reading your site and stories for a couple of years no. A friend in Spain introduced me to Piccavey.com. But I have just signed up for your newsletter. I like Spain and have bee to most places on the mainland, the Balearics and the Canaries. What I particularly like is the way you tell the tale. All your entries are entertaining and informative. What they do for me is in many cases remind me of where I have visited. I try to visit new places each time I travel. I visit for 3-4 weeks a year (normally, a week at a time). Your items about history thus jog the memory but your ones on food are mouthwatering! Before I travel, I look up your ‘foodie bits’ and try to see what I can taste and where. I’ve holidayed many times in the Granada-Malaga coastline, visited the Alhambra in all seasons except winter. Outside of my hollidays, I have a Spanish lesson every week. It’s a sort of small tertulia with a teacher from Peru and three others (we all studied Spanish at night school through GCSE and AS & A” Levels years ago, and kept studying). I really enjoy having links to Molly’s blog posts pop up on my Facebook feed, as well as getting her newsletters via email and her Instagram inspirations. As a kiwi traveller in Spain this year, it has been very informative and given us a few more ideas about both the well known and hidden places to visit. 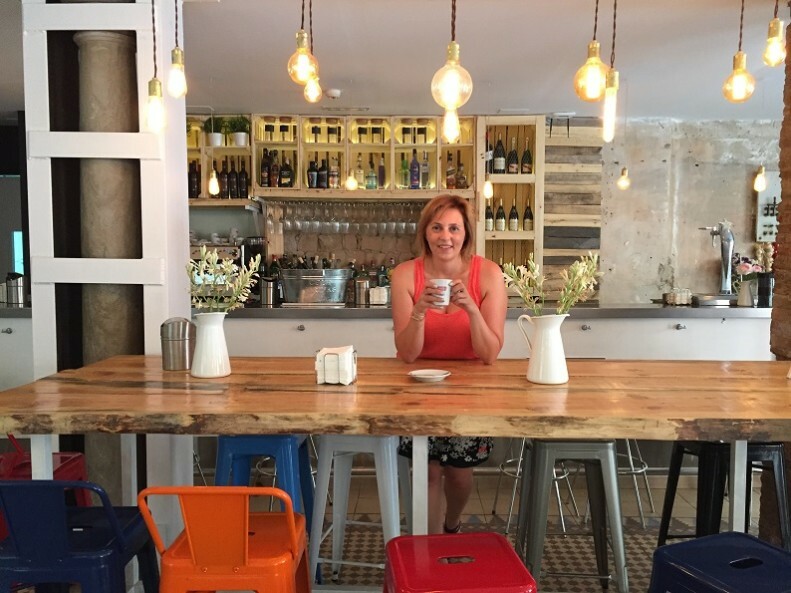 Our visit to Granada was informed by Molly’s blog (as well as a specific question answered via email) and we went to two places she recommended (tapas bar and restaurant) from her Granada food blogs – both were just wonderful. I look forward to finding out more about where we may visit as we road trip further around this amazing country. Thanks, Molly, you have been inspiring and very helpful! I´m so pleased that the information helped you plan your Spain trip. There are so many great spots to see.